Kawhi Leonard ripped the ball away from Ben McLemore and drove the other way for a three-point play. Then the next time down the court, Leonard grabbed it away from McLemore and scored on the other end. 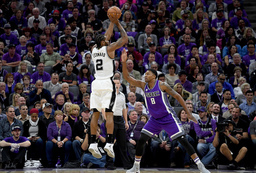 Those two plays turned the momentum San Antonio's way and sent the Spurs home with a very successful season-opening trip following a 102-94 victory over the Kings on Thursday night that spoiled the regular season opener at Sacramento's new downtown arena. "He took two away in a row and said, `Gimme that.' He just grabbed it away from whoever it was," Spurs coach Gregg Popovich said. "He just grabbed it and took it twice in a row. I don't see many people doing that." Few people are doing what Leonard is early this season. After scoring a career-high 35 points to go with five steals in a 129-100 season-opening win at Golden State on Tuesday night, Leonard had 30 points and five steals against the Kings. Leonard is the first player to put together back-to-back 30-point, five-steal games since Eddie Jones did it for Miami in December 2002. "You see players play at an extremely high level on offense, but this guys does it on both ends," teammatePau Gasol said. "It's hard to say where he's more exceptional. He's a very special player." Leonard helped dampen the excitement for the first regular season game at the new arena on an emotional night as fans remembered how close the franchise was to moving to Seattle before Vivek Ranadive bought the team in 2013 and reached a deal to build the arena. It didn't end as well despite a strong night from DeMarcus Cousins, who led Sacramento with 37 points and 16 rebounds. "As much as this city has fought, the fans were more than deserving of this night," Cousins said. "I wished we could have sealed the deal with a win." The Kings built a nine-point lead midway through the third period before Leonard and the Spurs put it away. San Antonio went on a 16-2 run and held Sacramento without a basket for the final 7:20 of the period to take a 76-71 lead into the fourth. The Kings missed nine straight shots and Leonard then had the steals from McLemore. "I just tried to do something for us, lighting up our defense a little bit," Leonard said. The Spurs built the lead to 10 points early in the fourth quarter before Cousins and Arron Afflalo made two baskets each in a 12-2 run that tied the game. But San Antonio pulled away late for the win. Spurs: The last San Antonio player with at least 30 points and five steals in consecutive games was Alvin Robertson in 1986. ... LaMarcus Aldridge scored 16 for San Antonio and reserves David Lee and Dewayne Dedmon added 12 apiece. Kings: Rudy Gay had 17 points but shot just 3 for 10. ... Sacramento shot 40 percent for the game. ... The Kings have lost seven straight to the Spurs. There were many luminaries on hand for the arena opening. Former Kings great Chris Webber sat next to Ranadive at courtside, Commissioner Adam Silver and his predecessor were in attendance, as well as several politicians integral in getting the arena built, most notably Sacramento Mayor Kevin Johnson. 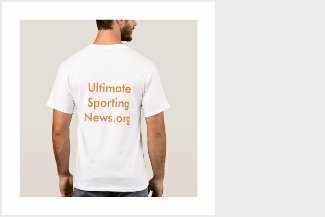 "I think it's a borderline miracle from where we were in 2013 to be here in 2016, a year earlier than they originally pledged to have an arena done," Silver said. "To be done, to be here on opening night with the building completely finished with strong local ownership, it's everything a league could hope for." Spurs: Play New Orleans in their home opener on Saturday. Kings: Host Minnesota on Saturday in a matchup of two of the league's top big men in Cousins and Karl-Anthony Towns.